Jacto Canon Sprayers are Priced to sell and built to last. Jacto’s highly-engineered and innovative products have served end customers well for many decades. The quality and performance make the Jacto Canon Sprayers one of the most versatile sprayers you can have on your farm. They provide excellent pest and disease protection for a wide variety of crops. From the versatile AJ401, to the ease and accuracy of the J400, J400 CHT, J400 CHT EL to the added performance and capacity of the J600 CHT and J600 EL Canon Sprayers, you are sure to find the right sprayer to meet your needs. Popular crop applications include all types of vegetables, blueberries, strawberries, cane berries, pumpkins, melons, sweet corn, container and tree nursery applications and even some fruit tree applications. 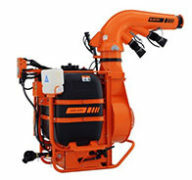 With both horizontal as well as vertical height adjustment, the Jacto centrifugal pump delivers the spray solution from the tank to the outlet duct assembly. Depending on the model the adjustment is either manual or hydraulic. For more that Fruit & Veggies! 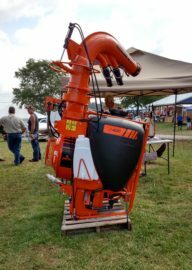 Jacto Cannon Sprayers are used effectively in fly control in dairy and feedlot operations and for cleaning poultry houses . They are also used for nutrient feeding of pastures and for herbicide use in pastures.